Was put in the wrong room and after unpacking had to move to another room. Staff ok but would not hold our cases for us at all. Breakfast very good with plenty of choices. 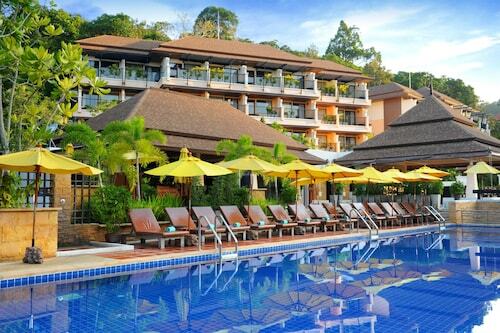 Situated near the beach, this hotel is within 1 mi (2 km) of Pai Plong Bay and Ao Nang Beach. Princess Lagoon is 2.9 mi (4.6 km) away. It was an amazing experience. Our aircon broke down and it was stifling hot but when we spoke to reception they upgraded us as they were having issues fixing it. There was building construction happening nearby but didn’t effect our stay at all. I highly recommend it. 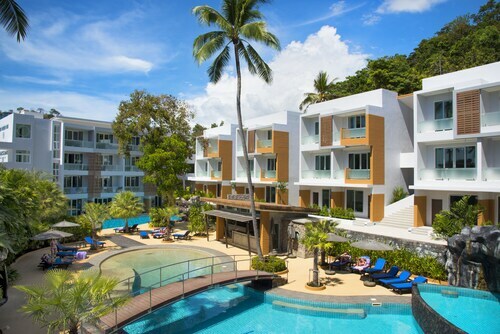 Situated in Krabi, this hotel is within 1 mi (2 km) of Pai Plong Bay and Ao Nang Beach. 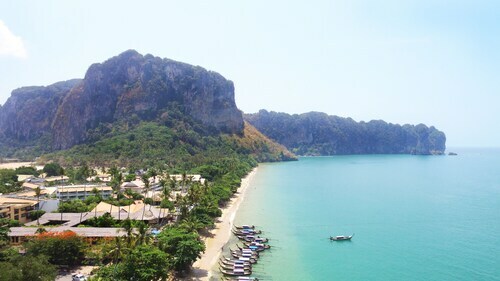 Phra Nang Beach and Princess Lagoon are also within 3 mi (5 km). Excellent staff and service, great location and million dollar views. Hotel is clean. Hotel staff are average. Hotel is next door to a construction site that affects noise levels. Would I say there again. No until construction next door is complete. 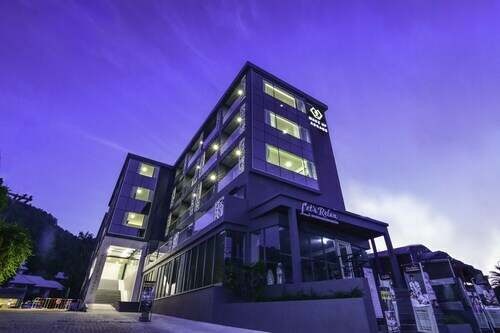 The hotel is very modern, clean and well presented! The cliff-view room is amazing, would recommend over the pool access or pool view. Ao Nang Beach attracts a large amount of visitors each year. Want to find out just what's so special about it? It is to be found in Krabi. 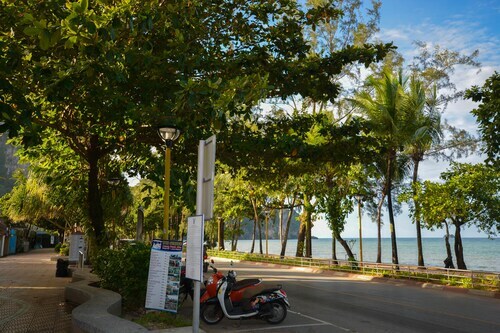 With as many as 72 hotels within a short walk of Ao Nang Beach, you won't have any problems finding a terrific place. 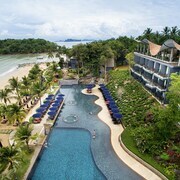 You might want to look into the Centara Grand Beach Resort & Villas Krabi, The L Resort and Krabi La Playa Resort. Save your cash by opting for a more budget friendly place nearby. 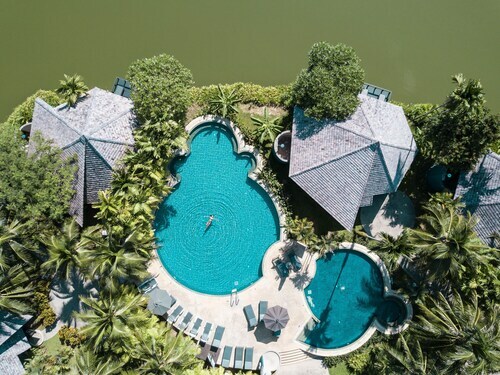 See how you like the amenities at the Palace Aonang Resort or the Luna House, 0.2 kilometres and 2 kilometres away, respectively. Or you could make a booking at one of the luxury hotels in the area. You know you want to! 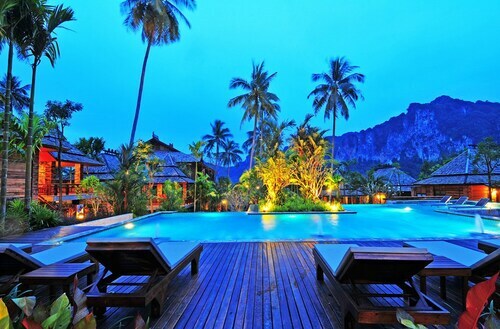 Take a squiz at the amenities at the Ao Nang Phu Pi Maan Resort and Spa, a kilometre away. 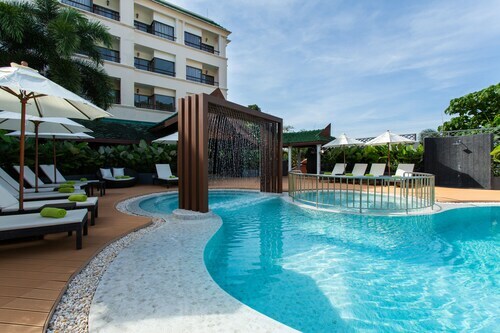 Alternatively, the Holiday Inn Resort Krabi Ao Nang Beach is merely 2 kilometres away. Start your morning right with a delicious coffee at The Coffee Club - Ao Nang. 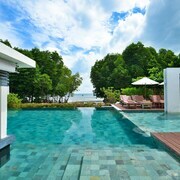 Fortunately, it's close to Ao Nang Beach. 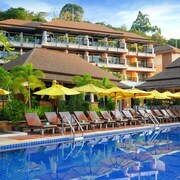 When you need something more filling, try out Aonang Cliff Beach Resort. And lastly, TJs Restaurant & Sportsbar is the spot to go for a round of cold drinks. Take a big breath of fresh air at Nopparat Thara Beach, and let all your stress disappear. 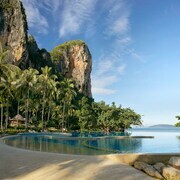 At East Railay Beach, the sand and sea air await. 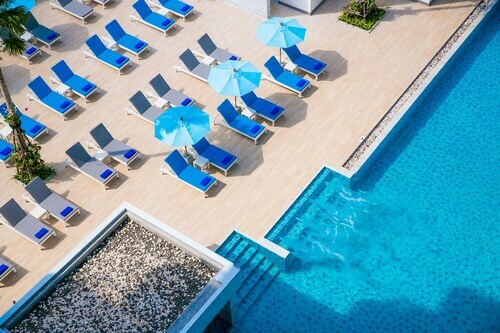 So pack your swimmers, and take off to enjoy the waves. Find yourself in total darkness at Phra Nang Cave. Smell the earthy dampness as you discover what's inside. You'll have heaps of fun playing in the surf, and lounging on the shore at Shell Fossil Beach. Venture to Tup Island. It's a well-known spot among visitors. 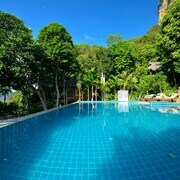 Hotels in Ao Nang Beach start at AU$45 per night. Prices and availability subject to change. Additional terms may apply. I liked absolutely everything. Staff was great, location was perfect and breakfast was the best. 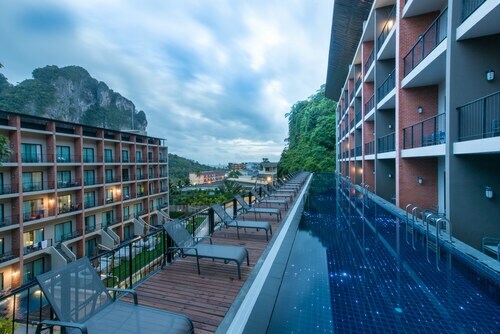 Very impressed with the Ao Nang Phu Pi Maan Resort & Spa, the staff were fantastic, pools awesome, room huge (we had a mountain view room, view was spectacular) & the resort is close enough to everything whilst being quiet & secluded. We went into this stay a tad apprehensive as this resort caters to Muslims (which is fine) but we didn't realise until after we booked, so the no alcohol rule we thought maybe a bit of a pain but it wasn't at all, they just don't serve it, you can still take drinks to your room & the pool area so it was no biggie. 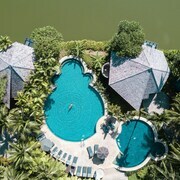 The other thing was as we are not religious & as the resort is located pretty close to a Mosque I'd like to point out that that was not a problem as the noise from prayers was not too loud & after a while I grew to enjoy it laying next to the pool. Only slight negative was the breakfast, we have stayed in dozens of resorts in Asia & their breakfasts really needs some more variety, but other then that all good.